Serial killers scare me. Just the idea of them gives me the creeps. Why then, you must ask, did I pick up a book about serial killers? Well, I had heard that Dexter was a little different. And trust me, “a little different” is putting it nicely. Dexter Morgan is likable, funny, mild-mannered, and blends in entirely as a nondescript human being. The only thing different about him, according to Dexter himself, is that he probably lacks a soul. Because of this tiny defect, Dexter is a serial killer. But, don’t be put off, he’s one of the good guys. He only kills those truly deserving; the bad guys who earn death by their heinous crimes. And Dexter’s job as a blood splatter expert on the Miami Police Department put him in prime place to keep up his helpful habit. But, then a serial killer emerges that commits such perfect crimes that Dexter finds himself intrigued or even jealous. When the killer’s style veers too close to Dexter’s own particular activities, Dexter doesn’t know whether to be frightened or flattered. And starts to doubt his own innocence in the whole matter. I was quite surprised that I enjoyed Dexter as much as I did. The book is a perfect balance of humor, horror, and intrigue. There is just enough horror (i.e. cut up bodies, unknown killers, and general creepiness), yet there is enough of something else to keep it from being full on horror. For me, the humorous, self-deprecating, often ridiculous narration by Dexter keeps your from being pulled in too far. The author, Jeff Lindsay, has managed to create an entirely unique idea and one can tell why the series of books and the show based upon them are wildly popular. Find and reserve this creepy / funny book in our catalog. If you could change the past, would you? And how would those changes effect the world as we know it? Felix Palma tackles these questions and more in his genre blending Science Fiction, Fantasy,Time travel, Steampunk, Alternate history page turner. The father of Science Fiction, H.G. Wells, is embroiled three intertwined mysteries involving Jack the Ripper, love, murder, a rip in the space-time continuum, magic, automatons, the future, the past, and much more. When a young man loses the love of his life to the murderous fiend Jack the Ripper, he seeks the help of H.G.Wells and his time machine to go back in time and save her. As the only man in the world that might have a time machine, Wells is the only one who can help change the past and right what is wrong. But is is all what it seems? Can we travel to the past or to the future and what are the consequences of such travels? This book has the delightful quality of being, at the same time, exactly what I thought it would be and exactly opposite what if would be. It is also one of those books that cannot be described in great detail without giving away too much of the plot. Therefore, my description is a bit hazy and not quite clear, but I can’t have it any other way. This book will delightfully surprise you and keep you guessing over reality versus imagination. Take your own trip through time by finding and requesting this book in our catalog. Anyone who has seen the movie version of Practical Magic will utterly underestimate the book. I like the movie; it is what inspired me to read the book. However, the movie has got nothing of the magic and power that Hoffman infuses into her book. Sally and Gillian Owens are sisters come from a long line of peculiar women. They have been snubbed as witches in their small town for as long as they can remember, something not helped by their aunts side business of love spells. Gillian solved this by running away as soon as she could and never looking back. Sally coped by being as normal as possible. After a love spell worked by the aunts leaves Sally a widow with two daughters of her own, she too flees to find her way in the world outside of magic. Yet, it seems that the two Owens sisters cannot run far or fast enough. When Gillian shows up on Sally’s doorstep with a dead body, their magic starts cropping up in all the wrong places. Gillian, Sally, and Sally’s two daughters, Antonia and Kylie, have to find a way to live with each other and the magic that seems to find its way into their lives. Practical Magic brims with tantalizing magical imagery. Whether its the scent of lilac bushes that stop women in the tracks or passion so intense is scorches a man’s cuffs, Hoffman has a talent for introducing magic into the everyday world that seems plausible. The imagery itself is almost magical; I swear I could smell those lilacs as well. For those who like the movie, the book is different in a good way. The book is a bit darker and a bit more passionate. Yet I enjoyed that Hoffman gives a larger part to the two younger Owens sisters, Sally’s daughters, that was not expressed in the movie. All in all, this was the first Alice Hoffman book I have read, but it won’t be the last. Find and reserve this magical book in our catalog. Hi again from Mary P. Last week you may have read about the best books I’ve read published in 2011, take a look at some books published previously that I discovered this year and loved. I’ve especially enjoyed discovering some authors that have been around a while and read both their old and new material. This is the year I discovered Bill Bryson. For many of you, this may be old news, but Bill Bryson is great. I read four of his books this year, and some, like At Home, are quite thick. Bryson writes nonfiction with a humorous slant that usually involves some aspect of his life. In At Home, Bryson covers the vast history of human homes and houses based around the history of his own home in rural England. This book is packed full of unusual stories and fascinating tidbits on human history ranging from the evolution of the meaning “room and board” to why we have salt and pepper on our kitchen tables. All the while, Bryson packs in this information with his trademark style that will leave you laughing and amazed. Abraham Lincoln has be the subject of many books. This is the first that images the Civil War as a bigger battle and Lincoln as a key factor in the defeat of the vampire scourge in America. Seth Grahame-Smith is no stranger to the reworking of a famous idea into something novel (pun intended) and Abraham Lincoln: Vampire Killer does not fail to satisfy. In Grahame-Smith’s world, young Abe loses his mother to the Vampiric plague and vows to fight back by killing every vampire he can find. This decision takes Abraham forward towards presidency in a world where the history mirrors the one we know, but also shows a hidden world that we never knew could exist. Unbroken has been on the New York Times best sellers list for 51 weeks. One more and it’ll be a year. Can it really be that good? My answer is unequivocally yes. Hillenbrand tells the amazing story of Louis Zamperini, the Olympic runner turned World War II airman. His story is itself almost beyond belief; it alters the idea of the limits of human survival and strength. However, the power of the story is complemented by Hillenbrand’s excellent storytelling. The book at time literally took my breath away and deserves the praises it has received. Extremely Loud and Incredibly Close is being made into a movie. I am super excited about this as it is one of my favorite books. However, I am a little tense, because the movie comes out in January and I want everyone to read the book before they see the movie. This book is so heartening, so poignant, so beautiful that I want everyone to experience it as it is before seeing the movie changes how it is read. The book centers around Oskar Schell, a nine year old pacifist and physicist who excels at tambourine. After losing his father in the attacks on September 11, 2001, Oskar finds a single key among his father’s things. With only the clue of “Black” written on the key, Oskar sets off on a mission to find the keys home and discover more about his father. I also discovered Connie Willis this past year. She has been an award winning Science Fiction writer for years. Her two newest books, Black Out and All Clear, are just as celebrating; she won both of Science Fiction’s highest honors, the Nebula and Hugo Awards for best novel (it’s really one story split over two books). Set in Oxford in 2060, three historian are traveling back in time to London during the Blitz of World War II. Sent back in time to study the past directly, their presence is not suppose to change history. Yet when their portals back to the future are not working, all three must find each other and find how to get back in time before they cause something disastrous like the outcome of the war. If any of these titles interesting you, they are linked to the Wake County Public Libraries catalog so you can find them at the libraries. And if you have read any, please feel free to add your opinion in the comments (but only if you agree with me…Just kidding). Hi from your friendly neighborhood book blogger extraordinaire, Mary P.! As a regular reviewer on this blog I’ve been lucky to share my thoughts on a number of books, and of course I have a few more favorites to recommend. My reading taste is eclectic, but I tend to lean towards non-fiction, humorous works, historical fiction, chick lit, and books for teens. I think my picks for the 5 best books of 2011 reflects this, with a tinge of supernatural thrown in for fun! Set in the buildup and terror of the French Revolution, this novel follows the path of the young wax sculptress, Marie Grosholtz, who would eventually become the famous Madame Tussaud, as she and her family walks the fine line of survival during the tumultuous times. A self proclaimed survivalist, Marie and her family pays court to both royalist and revolutionaries as she serves as a tutor to a princess of France and obeys the demands of the mobs. Moran’s excellent historical novel brings to life a fascinating time in history and a moving portrayal of Madame Tussaud. Before 30 Rock, before Sarah Palin, before even SNL, Tina Fey was just a Greek girl growing up outside Philadelphia with overly protective father and an already quirky sense of humor. In her memoir, Fey tells the story of childhood and rise to fame from her summers in children’s theater to the long days of travel for the improv group Second City in Chicago to the challenges of working in the male dominated world of comedy writing. 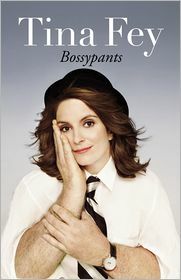 And of course, since she is Tina Fey, this memoir is hilarious. For fans of Fey, this books is a sure hit, and for you other five people, don’t worry you’ll enjoy it too. On a hot summer day in 1954, 13-year old Jubid Watts heads south from her Charlotte, North Carolina home on vacation with her family and Mary, the family’s black maid. Mary has always been Jubie’s favorite; her protector from her father’s violent temper and her mother’s indifference and a source of unconditional love. As the family travels further south, Jubie witnesses the growing racism towards Mary. When a tragedy occurs on the trip home, Jubie must come to terms with what others think and feel and what she knows is right. Stephanie Wilder-Taylor is not a household name. She has had a successful writing career on television and with books, but not the fame she was sure she would have as a 17 year old running away from home to become famous. Her memoir chronicles her struggling years as a stand-up comedian, a lousy actress (her words), and a worse waitress. Her stories of trying to make it big by being an obscure extra in an obscure Bob Dylan video or a cynical contestant on a dating show will keep you laughing and cheering for the author’s eventual success. This book is the cure for all the supernatural fans who like the idea of vampires, witches, love, and much more, but want a mature book that goes beyond teenage romances and angst. Diana Bishop is an American scholar doing research in the famed Bodleian Library in Oxford when she unwittingly comes across a bewitched alchemy manuscript. Descendant of a long line of distinguished witches, Diana has spent all of her life denying her powers and living as a human. However, the discovery of the manuscript and the arrival of vampire Michael Clairmont will soon force Diana to come to terms with her past and her powers. If any of these titles interesting you, they are linked to the Wake County Public Libraries catalog so you can find them at the libraries. And if you have read any, please feel free to add yoru opinion in the comments (but only if you agree with me … Just kidding). Alexia Tarabotti is the soul of formality and fits with the most proper set in Victorian London. Well, as well as any soulless spinster with much too much Italian blood and much too great of an appetite possibly can. In a Victorian London where vampires set the social standings and werewolves run her majesty’s empire, being a supernatural is not that extraordinary. Yet, being soulless is something of an oddity. And when vampires and werewolves around London start disappearing, Alexia starts to garner some interest. Lord Maccon, a loud, messy, gorgeous, improper werewolf, is sent to investigate at the queen’s request. Fur flies (sometimes literally) when Alexia and Lord Maccon come together to solve this supernatural mystery. I have to admit when describing this book to friends, I am the tiniest bit embarrassed at first. People start to get the look, “You’re an adult reading a vampire-werewolf-romance-fantasy.” But, as I insist to my judgemental friends, this book is different. This book is good. So good I succumbed and have read the entire series. And the rest of the books are just as delightful, funny, and charming as the first in the series. Gail Carriger has create as supernatural romance series that even I, an avowed supernatural cynic, enjoy. Now I must wait for the newest book to be published. So I encourage you, dear readers, do not be frighten or ashamed of reading and enjoying Soulless. It has a librarian’s approval. You know those moments that are so absurdly horrible that all you can do is laugh? No, well maybe they can only be observed in someone else’s life. Divorced and jobless (he caught his wife cheating on him with his boss), Judd Foxman doesn’t currently have much going for him when his father passes away after a long illness. The Foxman clan descends on their Long Island childhood home for the funeral and to sit Shiva. Judd, along with his sexpot psychiatrist mother, his sister, Wendy, with her distracted husband and kids, his brother Paul and his wife who are struggling to conceive, and his youngest brother, Philip, the family screw-up, all commit to stay for the seven day Jewish ceremony for their deceased atheist father. Judd, together with his crazy, yet very real family, deals with the death of his father and his marriage. The ensuing seven days will leave you alternating from crying to cringing to laughing. Tropper manages to cut to the core of a family’s interactions and bluntly portray those horrible moments in life in a somehow very funny way. This is Where I Leave You is a great read. I picked it up after a friend suggestion. This suggestion came with a bit of a warning that I will extend to you; this book deal with some serious material and it will make you think. Tropper highlights many universal truths about people and families that made me think about life and family. I won’t give away any of the plot, but Judd finds himself in plenty of situations full of moral ambiguity. Yet, Tropper never takes his characters or their problems too serious; just like in real life there are plenty of absurd and funny moments. The book offers a lot of opportunities ffor a reading to think abut what is wrong, what is right, and when is it okay to kill a family member. (That is a joke that you will understand after reading the book). This is a book with some pretty heavy subject matter, but it has an overall light-hearted tone. Its a great read, but is not for the faint of heart or those lacking a funny bone. Find and reserve this title in our catalog. How do you cover up a misdeed from the Nazis? Invent a literary and potato peel pie society, of course. Well that is how the quirky characters in Mary Ann Shaffer and Annie Barrows’ novel coped. This aunt and niece team have paired up to bring to life the interesting story of the only pieces of English soil that were occupied by the Nazis during World War II. Living in London in 1949, Juliet has welcomed the end of the World War II and is now ready to move on. Coming off the success of her novel based on her experiences in the war, Juliet is ready for her next writing project that has nothing to do with the past years. Until she receives a mysterious letter from a man from the channel island of Guernsey. He had found Juliet’s name in a book he purchased and was hoping for some more suggestions. He is the one to introduce Juliet to the Guernsey Literary and Potato peel Pie Society and explains how the citizen’s of the small island had formed the society to cover up an illegal meeting from the Nazis. From this simple start blossoms numerous letters and deep friendships and Juliet learns about the small island of Guernsey and its role in the war. As time passes, Juliet becomes more and more entwined with the lives of her Guernsey friends. She has a subject for her new book, but where does she fit into it? I have to admit, I picked this book up for the odd title, but was wonderfully surprised at the warm, happy feeling the book gave me. Written in the form of letters, Shaffer and Barrows introduce us to a melee of quirky characters that jump right off the page. The duo manage to create a story that is touching and poignant yet at the same time down-right funny. Just as the main character, Juliet, is getting to know and love these people, so will you. You might even wish that you could sell your house and move to Guernsey just to find out if they could possibly exist. Probably don’t do that, but definitely read the book. Knowing your fortune isn’t always all it’s cracked up to be. Holly Maguire is finding this especially true. Her grandmother Camilla, the love goddess of Blue Crab Island, predicted that Holly’s big love would love sa cordula, a traditional Italian dish featuring lamb intestines. Finding that man, however, is proving to be pretty hard. After breaking up with the man she thought she would marry, Holly moves home with Camilla to nurse a broken heart, but in turn loses her grandmother and inherits a cooking school. Holly has to keep Camilla’s Cucinotta going; she’s going to forgot about men and love and focus on cooking and keeping the business alive. Holly just wants to get through the first classes, but as she and her students come together over the pots and pans adding Camilla’s essential ingredients of wishes and memories they learn much more about themselves and each other. Whether it is reconnecting with a child, mending a broken marriage, or finding true love, all of the students have come to this cooking class looking for something. And all of them, including Holly, learn cooking does have a bit of magic in it. Sometimes a book seems good enough to eat. Senate fills her book with enough tantalizing food and sweet romance to satisfy a hungry reader. I picked up this novel because I am a sucker for any book with a title that promises tasty delights inside; sometimes all I need is a picture of some food on the cover. This book did not disappoint. I enjoyed the gentle romance, the fun characters, and the delicious sounding food. If anything, this book will leave you with a strong craving for Italian food but probably not sa cordula. Captain James Cook died in 1779 at the age of 51. In those 50 years, he traveled around the world 3 times and discovered much of the now known world. I can barely handle a weekend trip to the beach. My sense of wonderment at this is nothing short of Tony Horwitz’s, which inspired him to follow in Cook’s footsteps and search for the man behind the legend. In Blue Latitudes, Horwitz endeavours to tell the story of Captain Cook’s life and his own story of following in Cook’s footsteps. Cook rose from an impoverished farm boy to the one of the greatest explorers of all time. His travels took him around the world and made him one of the first Europeans to visit places like Australia, Tahiti, Easter Island, New Zealand, and further. Horwitz covers Cook’s life and travels, yet in search of the real man hidden from the history books, sets off on his own journey that will take him around the world searching for the traces of Cook. Retracing Cook’s travels, Horwitz explores the farflung corners of the world and encounters the strange legacies of Cook’s visit. He meets many interesting people all the way; some who love Cook, some who hate Cook, and all help Horwitz piece together his own idea of the man. Horwitz, best know for his book Confederates in the Attic, is the master of combining history with his own modern day observance and humor. Blue Latitudes is a delightful mix of biography and travelogue chock full of interesting facts and laughs. Yet, Horwitz is also able to be thought-provoking about the effects of Cook’s journey on native populations both then and now. He manages to produce one of those great books that makes you laugh, think, and hopefully remember some interesting facts for dinner parties. Did you know that Captain Cook is the reason we call them kangaroos?